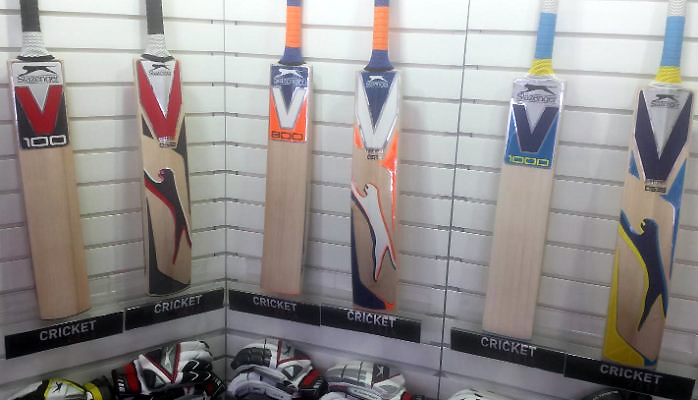 What's new in the cricket equipment market for 2016? What’s new in the cricket market for 2016? Before I properly begin, I’d like to stress that the views below are entirely my own, and are based purely on what I saw at the trade show today. I realise that my opinions on each range may change the more I see them, so please use this merely as a rough guide. I don’t want to offend anyone as much as I apparently have already (see the GM section!) so please take everything here with a pinch of salt. Newbery are our biggest account, so I may be slightly biased with this one – especially as they are the makers of the bat we designed, The Platinum – but all of that aside, I have to say I was highly impressed with their range. Unlike some others, all the changes to the range seemed well thought out and had a reason behind it. The staff at Newbery seem to really care about what they do, which shines through, and I can barely fault the new range. The bat stickers are an improvement – with more embossing and detailing than before – and even the Newbery logo looks more striking now they have shed the shadowing behind it. Their new bat is the Merlin, which replaces the Tour, but is a slightly different shape, with a higher sweet spot and a clever counterbalance handle. I have been critical about the constant use of chevron grips before in their range, but this has changed for 2016, with all grips much thicker with a multi textured effect – it improves the pick-up on all the bats noticeably. Due to incredible demand, the Blitz has replaced the dud Panache, and evolved from a one shop wonder, to a (no doubt) go-to T20 bat for all cricket specialists and the return of cadbury purple on the new Sev7n T20 bat is extremely welcome for me! The softs and bags all showcase subtle improvements, with the gargantuan Merlin bag a highlight for me. My only (slight) criticism would be a lack of English willow bats available under the £200 mark, but that was also the case last year, so it is a very minor point. All in all, an astonishingly good range. We already placed our Gray-Nicolls stock order a month ago, and their range felt the least new of all companies on show as they actually launched it back in July, but it was nice to be reminded how good a range it is. There really is something for everyone – an incredible variety of profile shapes – and the largest range of price points imaginable. The new Supernova range is a highlight for me – the gun metal and blue design just looks stunning, and their range of pads and bags, in particular, impressed me: the Supernova duffle being perhaps my favourite duffle bag on show. The gloves and pads are less generic than previous years, with some innovative touches on many of the models, and the gloves come out a bit larger than before, which is a plus. I was a little surprised to see the Lucky 7 and Omega XRD bats stay, as these have been slow sellers for us and are a bit “marmitey” but their inclusion is just further evidence that all tastes are catered for. The new Powerbow stickers are a bit loud for me, but I am sure the younger player will love them. The shoes are also a bit “meh” but otherwise I can barely fault the range. As with Newbery, it is well thought out too, and even down to periphery products, like the new fielding elbow protector, innovation and evolution is prevalent. Gray-Nicolls are the type of brand that could probably get away with resting on their laurels, but the fact that they never do is very pleasing for me. The ominous spectre of Sports Direct simply will not go away. The V1000 is the new bat in the range, but it is basically a V800 with concaving and a flatter face, so lacks the originality and innovation that Slazenger have been known for in the past. Are they resting on their laurels, then? Do they even still have laurels to rest on? Thankfully the ever popular V12 is unchanged and remains excellent value for money, and the softs range is one of the best around for me, but it all seems a little half-hearted. The V5 and V6 bats have gone and are being replaced by equivalent grades of the V100, which is a generic shape with nothing especially exciting about it. Stickers look OK, but lack the professionalism compared to others i.e. no embossing and the sample bats on show didn’t pick up especially well for me. I wonder how long it will take these bats to hit the bargain bin at your local Sports Direct. I just hope they manage to keep the V12 away from there as it’s too good for that. Sadly I cannot say much about this range as I was not even given the opportunity to view it! Apparently we have been too honest (some may say critical) about the brand in public before – especially their lack of hospitality when it comes to retailer visits (we cannot handpick bats from their factory), so they have actually gone to the extremes of not allowing us to view the range. 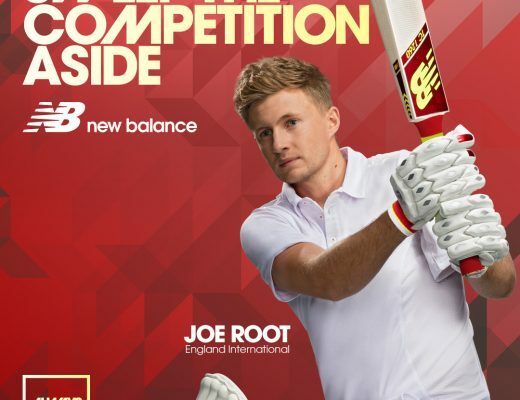 Maybe they are just a bit bitter about losing Joe Root to New Balance?! It all seems a little strange to me and I don’t understand why they can’t let bygones be bygones, but a brand so stuffy and set in their ways struggles to move with the times I guess. If you want a GM bat, please visit another store! Part of me really wants to dislike New Balance. They are the type of brand I would usually dismiss and write off. I would question their staying power and if they really care about the cricket market long term, or if they just want to make a quick buck and leverage their global brand, which will be successful with or without the cricket market. Yet, I don’t (quite) feel this way. Why is this? I guess part of it is that I have seen it evolve tremendously in front of my very eyes in just two years. We were one of the first shops to stock their first bat, the “Achieve”. I hated the stickers on this bat. I also felt it was overpriced. They were yet another footwear brand making a half-hearted effort at a cricket bat. However, fast forward two years and suddenly they have gorgeous embossed stickers, with detailing, exemplary finishing and very stylish colour schemes that just seem to work. The TC is now red and yellow and the DC an absolutely stunning black and orange. Whilst it may resemble the Kookaburra Onyx, I actually prefer the look of the DC. Just a shame the profile shape isn’t very original (pretty much identical to the Slazenger V1000 for example), but I guess when Steve Smith is using it, not that many people will care or even notice. And now they have Joe Root, so I guess the world is their Oyster. Footwear wise, the 4050 bowling boot is an evolution of the 4040 and apparently a bit more sturdy for the taller pacemen, and it’s nice to see one of the shoes following the black and orange colour way of the DC range. I love the value for money New Balance offer in the entry level grade bats and their shoes are well priced too, especially when compared to the Asics and Adidases of this world. New Balance seem to be going in the opposite direction to Spartan and are riding the crest of a wave. The bat range does lack variety, but I like how they are growing the range slowly, again unlike Spartan. They are walking before they can run, but now with Root on board, joining the likes of Stokes, Smith, Ballance, Finch, Trott et al, the future does look bright for New Balance, so they will surely be running soon. Chase always impress me at this trade show and today was no different. It’s refreshing to see a genuinely English brand being so proud and passionate of what they do and putting the customer first. Their returns service is highly regarded and sounds like one of the very best, if not best, in the industry and their new offer of a 2 Year Guarantee on their new top “Platinum” bat is a nice gesture. This is the Chase bat with all the bells and whistles – the very best of the very best etc. and apparently limited to just twenty bats per year. You not only get an extra year’s warranty, but a free bat cover and free top end pads and gloves to go along with your bat, plus a free end of season clean up and a free net session with it at the Dummer Farm. All of this makes the £600 retail price pretty good value for me. I can’t think of any other brand that would offer such free extras with their bat, no matter what the price. Also, the Platinum and FLC bats impressed me more than any other at the show in terms of pick-up. They truly are “wands” and I wish my batting was good enough to justify using one! Otherwise the range has stayed the same except for the fact that the Lancer has been dropped and the decals are a slightly different design – a bit flashier looking with more chrome. The softs have been changed a bit, but only in a subtle way. I do really like the Chase pads and gloves, but if I had a criticism, I would say that they are a little pricey (prices seem to have gone up quite a lot from last year randomly). But overall, very impressive and hopefully we will get Chase products on our shelves in 2016 -it has been a long time coming! Not that much change from this year on the Salix front, except for a new T20 bat, called the Raw T20. I still don’t think Salix are the brand you can easily associate with a huge hitters’ bat, but they are trying to prove me wrong with this bat, which has a slightly bizarre traditionalist look, but very modern (massive) profile. I like how the bat comes in a choice of blade sizes, so finally you can get a T20 bat with a conventional sized blade and handle. The bags and softs are pretty much the same for 2016 – I guess if it ain’t broke why fix it? They have added a new pair of wicket keeping gloves, which are stunning white and leather pretty much everywhere. I am not a wicket keeper, but if I was, these would be at the top of my shopping list for 2016. No real changes for HitsHard except they have dropped one range of pads and gloves and now only have one (well priced) mid range offering. 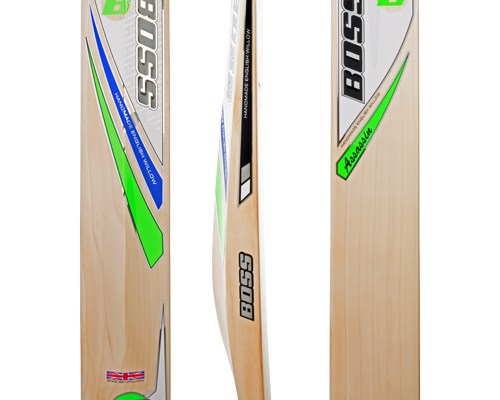 Still a bit confused that the Rolla Supersonic bat competes with the Salix bats on price (isn’t the point of HitsHard to offer a lower priced alternative from the same factory?) but the brands still look very different from each other, so they aren’t the most obvious of competitors despite being made by the same people in the same place. I like how the stickers are all so professional – across both brands (all fully embossed) and the finishing remains top drawer. The minimalist look on the Pod and SLX keeps me salivating every time I see them, and despite the high prices, I can certainly understand the appeal. I have never been a big fan of Adidas bats, and they remain less than original for 2016, but I much prefer the new look to previous offerings. The stickers are stunning and really stand out on the shelf. I also love the new red and blue colour scheme on the shoes (the blue replacing the black). They look slightly easier on the eye for me. The highlight is, without doubt, the SL22 Boost. Possibly the most unique cricket shoe you will ever see and insanely light! They didn’t let me take photos as they still haven’t properly launched these shoes yet, so I will be careful with what I say here, but it is great to see Adidas continuing to innovate across their range. It may take some people a while to get used to them, but I can see them being a big hit. Stem guards are everywhere! Available from next week, the innovative stem guards are finally here, so your neck and cheeks are now fully protected for anyone who wears one. I like how they can be retro fitted to any Masuri helmet – including the juniors – and the fact that they are one size fits all is a relief for shops like us! Masuri have also taken the trouble to design new inner pads, so if the Large size helmet feels a bit too big for you, but you can’t get your head in a Standard – as is the problem for quite a few it seems – you will still be able to leave the shop with the perfect fitting helmet for you. The junior helmets are now available in the Test grade, so young players can finally get a cloth covered Masuri lid, and their custom made capabilities are simply breathtaking. We look forward to developing this service within our range for 2016. Masuri are the market leader for cricket helmets and the safest around – absolutely no question about that for me now. Millichamp & Hall: apparently their Owner and head bat maker was off sick, but that’s all I know. The first time I have been to a Lord’s show and not seen them. I know they have a new range coming out, but a shame not to be able to see them here. Still a big favourite of ours here. 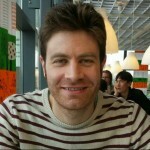 Phantom Cricket: less of a surprise, but given how they have grown so quickly, a bit disappointing not to see them here. I know they have an absolutely gorgeous new range of junior bats coming out. We remain the only retailer to stock them currently, but I think you will be seeing more and more of them in 2016 and beyond. Hell4Leather: I think they should exhibit, but I guess it’s their prerogative not to. They are in more shops now, and are a personal favourite of mine, so would’ve loved to see them there. I know they have a new bat coming out, called the Warbird, which will be available from us very soon, but I have yet to see it in the flesh. Even more reason to visit Tenterden again soon then! ASICS: In fairness, as they can only exhibit shoes, their presence at this show is usually very marginal, so they were not exactly missed. Suggests they probably aren’t changing much for 2016, but as arguably one of the top two brands in cricket footwear, I feel it’s a little strange for them not to show up. As a thank you for reading this post, enjoy £10 off any 2016 cricket bat pre-order by using discount code BLOG2016BAT when paying your pre-order deposit, HERE. I have a friend that is from South Africa, and they love rugby and cricket. I’m trying to learn more about the sport so I don’t get so lost when they talk about all the equipment and rules. Thanks for talking about the different brands that you would find in a cricket shop and what equipment they specialize in. I didn’t know that New Balance made cricket bats. I’ve known that they made running shoes and triathlon gear, but I’m glad to hear that they are making quality products. Thanks for your article. I used to be an ardent fan of the Spartan range (purely based on their marketing and stickers sad as that sounds) and invested in their bats without consultation. After a brief chat with Paul from itsjustcricket I invested in his recommendations (Newbery and Phantom) and what a find they were. I am in no way associated with any of the brands but as a cricketer I can tell you that the Spartan bats were the most disappointing I’ve ever played with. It may be that it is a rare choice but three bats all terrible can’t be a coincidence and it’s forever shaken my confidence in their brand. There also seems to be a bit more TLC in the limited edition brands such as Newbery and Phantom (two of whom I have experience with) that makes the willow somehow exceptional without them being mass market ones like the other famous brands. It may just be the fact that they hand pick their clefts or that Itsjustcricket hand pick the hand picked ones all over again making it extra exclusive! Either way I’m very happy with their recommendations which for once are genuine rather than to force a sale!